Fiat CEO Sergio Marchionne said on Monday that the carmaker's Alfa Romeo brand is not for sale after a report said that Volkswagen has visited factories in which Alfa cars are made. VW experts have visited Fiat's Mirafiori, Cassino, Melfi and Pomigliano plants, Germany's Focus magazine said. 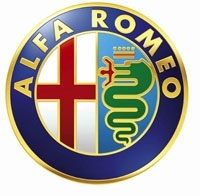 Marchionne has continually denied that Fiat will sell Alfa since VW Chairman Ferdinand Piech said on the eve of the 2010 Paris auto show that the money-losing sports car brand would be a "lucky" 13th brand to add to VW Group's portfolio. Fiat has said it aims to more than double Alfa's annual sales to about 400,000 vehicles in 2014 from 150,000 in 2011 and plans to introduce new Alfa models including the new 4C small sports car and Giulia sedan. Earlier this month VW CEO Martin Winterkorn said the German automaker has enough on its plate at the moment with its 12 brands, including new acquisitions Porsche and Ducati. In answer to calls from trade unions that the Italian government should be more aggressive in courting foreign investment in the country's auto sector, Marchionne said he would welcome Volkswagen as a producer in Italy but added it was silly to think that foreign carmakers could rescue Italy's troubled automotive industry. "I welcome Volkswagen as a producer, and I'll do everything possible to help them," Marchionne told an industry conference. "The fact of looking to foreigners as if they were Italy's saviors is the biggest pile of crap I have ever heard," he added. Marchionne confirmed 2012 targets ahead of Fiat third-quarter releases on October 30. Revenues at the group are seen rising above 77 billion euros and net profit should be between 1.2 and 1.5 billion euros, he said.